PROPOSITION 1: The $54 billion Sound Transit 3 ballot measure would add 37 stations and 62 miles of light rail by 2041, and extend bus and commuter-train lines. It is among the largest transit proposals in U.S. history. Property tax, $25 a year per $100,000 of assessed value. Sales tax, increase of 50 cents per $100 purchase. Car-tab tax, a yearly increase of $80 per $10,000 vehicle value. A median household would pay $326 next year in new tax (or $169 per adult), plus $303 in existing Sound Transit taxes that voters passed in 1996 and 2008. Actual costs vary by income and lifestyle — try this ST3 tax calculator to find your own tax increase. ST3 can be grouped into 12 "projects" throughout the system, ranging from light rail extensions to bus-rapid transit lines. The map shows the complete picture — scroll to see each project in detail. * Not all existing stations are shown. A 38-mile corridor from Lynnwood to Burien using I-405 toll lanes. The Kingsgate stop would get a 600-stall park-and-ride garage; south Renton, a 700-stall garage. On the south end, passengers could transfer to light rail at Tukwila International Boulevard Station for airport access. Route from UW-Bothell through Lake Forest Park ends at Northeast 145th Street, where commuters would transfer to light rail. Bothell and Kenmore are eager to add apartments, townhomes, dining and sidewalks next to the stops. 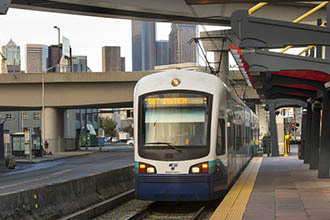 Ballard trains would reach an expanded Westlake Station in 11 minutes, serving 52,000 daily boardings. 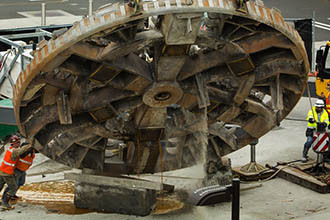 This $2.5 billion segment would connect to a new $1.7 billion downtown tunnel from Westlake to the International District/Chinatown Station. A community-requested tunnel under Salmon Bay might add $450 million to the cost, compared to the Ballard drawbridge in ST3’s budget. Route would replace RapidRide C bus stops and include a Duwamish River train bridge. Requires tight curves, likely demolition of houses or businesses, and bus-rail transfers at Delridge for 10,000 riders on the 120 bus. As in Ballard, a post-election switch from an elevated track to a tunnel would drive up the price. Route includes Paine Field, to serve industrial employers or future passenger flight terminal. That swing stretches the Everett-Seattle trip time to a full hour. Low ridership is forecast at Everett Station, but apartments full of commuters surround Mariner and Ash Way park-and-ride stations. Quick infusion of ST3 money could build this $1 billion segment by 2024. The extension adds 8,000 daily riders in 2040. It would serve Eastside tech workers and families in downtown Redmond, and help people reach Marymoor Park. Added parking and nearby trail would help Kirklanders reach Bellevue hospitals, stores and offices by train. But people heading to Seattle may save time catching Highway 520 express buses, rather than making a two-train ride to Seattle via I-90. Brings service near Factoria, and serves 18,000-student Bellevue College. Issaquah central city plan allows buildings 12 stories high, but it’s unclear whether that car-dependent area would evolve into a dense, transit-based neighborhood. Connects Tacoma Dome Station to the airport and completes the long-awaited “spine” to Seattle and Everett. Despite sparsely populated stops in Fife and East Tacoma, leaders opted for regional connections, instead of crossing Pierce County. Would help Federal Way commuters skip I-5 traffic jams entering Tacoma. Highline College station would open in 2023 even if ST3 fails. If ST3 passes, it would be combined with the Federal Way segment and open a year later. 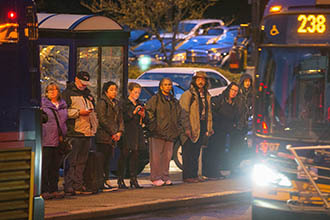 Route serves I-5 park-and-ride stations instead of following Highway 99. Stations lengthened to accommodate 10-car trains, a 40 percent boost in capacity, along with signal improvements and better access for buses, pedestrians and bicyclists. Extension from downtown to Hilltop neighborhood and Tacoma Community College would serve 15,500 daily riders, mostly in dedicated lanes. 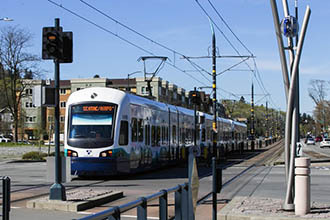 Connects with existing line to UW-Tacoma and Tacoma Dome Station. The $315 million project, with an estimated 1,500 daily trips, translates to a startling $46 per boarding, a number Sound Transit says obscures the benefits. Tillicum Station would create a congestion-free ride to Joint Base Lewis-McChord. Housing A $20 million fund for low-interest revolving loans would be set aside for housing developers who set low rents. Four-fifths of surplus land must be reserved for affordable units after Sound Transit construction teams are finished using it. Another $30 million would be spent to study or plan dense, transit-oriented development. Payments to the state A 2015 law requires $518 million from ST3 tax revenue be paid to the state general fund for education or social services. Fleet-replacement fund About $781 million would be set aside through 2041 to replace trains, tracks and station equipment to prevent big system breakdowns. Near-term bus projects To keep ST Express, Pierce Transit, Community Transit, and RapidRide moving, bus lanes would be added, including on highway shoulders. Also promised are more service hours, a Sammamish park-and-ride, and money for a Madison Street bus corridor in Seattle. Planning for ST4 A total $187 million to plan a fourth round of projects and study future lines, including White Center, Burien, Renton, north Everett, Orting, Tacoma Mall, a crosstown Ballard-UW-Highway 520 line, and north Lake Washington. The region needs more transportation capacity for today’s trips and for 800,000 people expected to move here by 2040. Taxpayers in places such as Everett, Ballard, West Seattle, Federal Way, Kirkland and Issaquah have been paying for others’ light rail for years. It’s their turn to get stations. Frequent four-car trains can move 16,000 people an hour, while a general highway lane carries 2,000 vehicles — and there’s no room to expand freeways. Light rail “lets you escape congestion, reduces climate pollution, and improves access and affordability for all.” The full network would serve 695,000 daily trips. Projects would create tens of thousands of skilled construction jobs. Bus rapid-transit lanes could be established sooner at far less cost. For the first time, Sound Transit seeks a property tax, which could make it tougher for the Legislature to increase education funding. Self-driving cars, electric vehicles, and ride-service companies such as Uber and Lyft would make light rail obsolete, before the rail extensions are finished. Proposed light-rail expansion includes 8,560 park-and-ride stalls — but is it enough?